Have you ever wondered what happens inside (and outside) a film studio? Well Australian Dance Party’s latest show, In a flash, gives a clue. Commissioned by the National Portrait Gallery, In a flash was made in response to Starstruck, a Gallery exhibition of portraits of Australian film personalities. 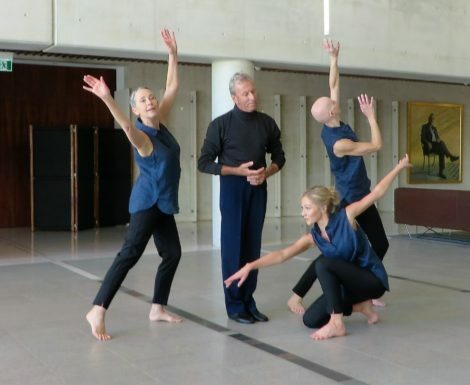 Party Leader Alison Plevey assembled four dancers—Adam Deusien, Gabriela Green, Leeke Griffin and Alanna Stenning—to join her for a 25 minute, fast-moving and cleverly thought through piece. 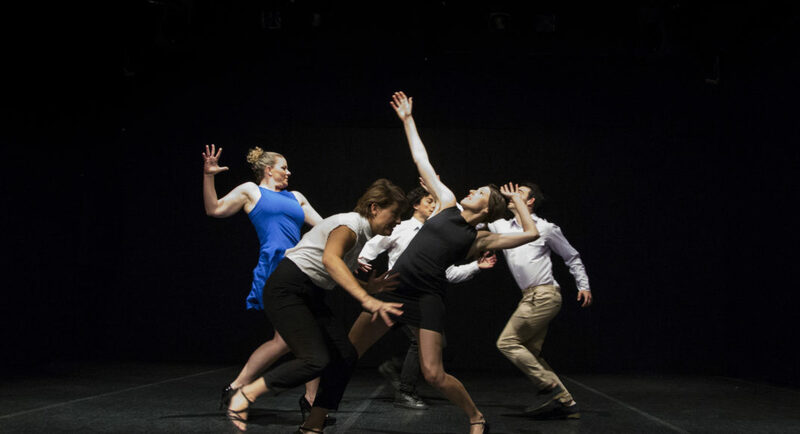 The five dancers were joined by photographer Lorna Sim and graphic artist Anna Trundle who, between them, shot and edited live a series of photographs, which were displayed as they were edited on a screen in the performing space. The piece began in glamorous style, more or less—thongs were the order of the day in the footwear area. 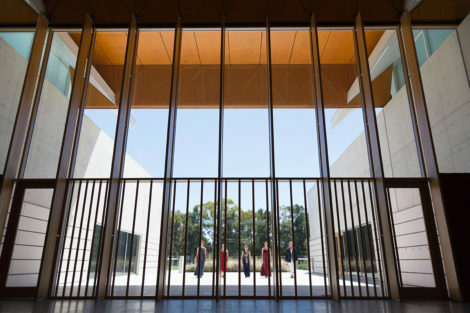 The five dancers began outside Gordon Darling Hall and made their way, after peering through the glass panels, inside. Once inside, their dancing was slick and paid homage, music-wise at least, to Strictly Ballroom. Sometimes the early parts of the show had an air of being full-on, over the top Hollywood style. Lots of smiling, lots of make-up, lots of presenting oneself. But the glamour quickly gave way to more down to earth matters—behind the scene processes such as preparatory work, working up a curriculum vitae and the like. And costuming became more down to earth too when the glamorous outfits were discarded for rehearsal clothing or regular dance gear. There was some strong dancing too in the form of solos, duets and company pieces. I especially enjoyed a sequence featuring the tall and statuesque Griffin, who danced with a white sheet of fabric (representing a towel? ), tossing it, wrapping it around herself, and using it various other ways. Sometimes when she posed, legs together, body lifted tall and slightly arched back, head held high, she reminded me of swimmer and film star Esther Williams or, more appropriately in the circumstances, the Australian swimmer and also a star performer, Annette Kellerman. 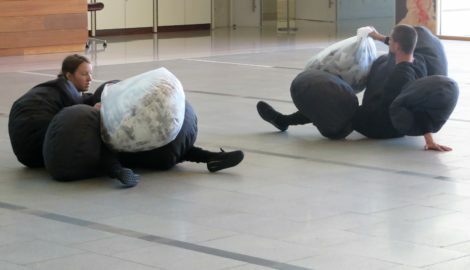 As these performances (perhaps they should be called ‘takes’) were proceeding, Lorna Sim was taking photos, with her apparatus linked to a computer. Occasionally the shots from performance were beautifully edited into portrait-style images. Very appropriate given that we were in the National Portrait Gallery. It was only at the end, however, when Sim faced us and said ‘thank you’ that I realised how cleverly put together In a flash had been. Alison Plevey thinks outside the box. She puts together shows that attract attention instantly, but in the end they go beyond that instant gratification. Demanding they are, but that’s what the best dance is like. I came away pondering about whether I was meant to be sitting in the Portrait Gallery, or in a film/television studio with Lorna Sim as the link with the audience. Note: For various reasons, this is the first National Portrait Gallery dance commission that I have attended without seeing first the exhibition that was the inspiration for the show. This of course has it drawbacks. But by the same token, it means I came to the show without prejudices. Take it as it is written. 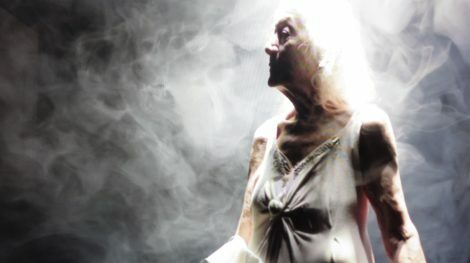 A recent acquisition by the National Portrait Gallery in Canberra is a short 6 minute film featuring ex-Bodenwieser dancer Eileen Kramer, aged 103 when the film was shot. This is a truly haunting film by Sue Healey, working with cinematographer Judd Overton. Kramer dances, seated for the most part, to a gentle musical score composed by Darrin Verhagen and Justin Ashworth. The choreography is simple. Kramer uses her hands and lifts and turns her head occasionally. Simple but in the end quite moving. The production is quite stunning with beautiful lighting that sometimes shines onto Kramer’s face, illuminating it with halo-like effect. White smoke haze is blown across the space occasionally. Kramer uses a white cloth fan at times. 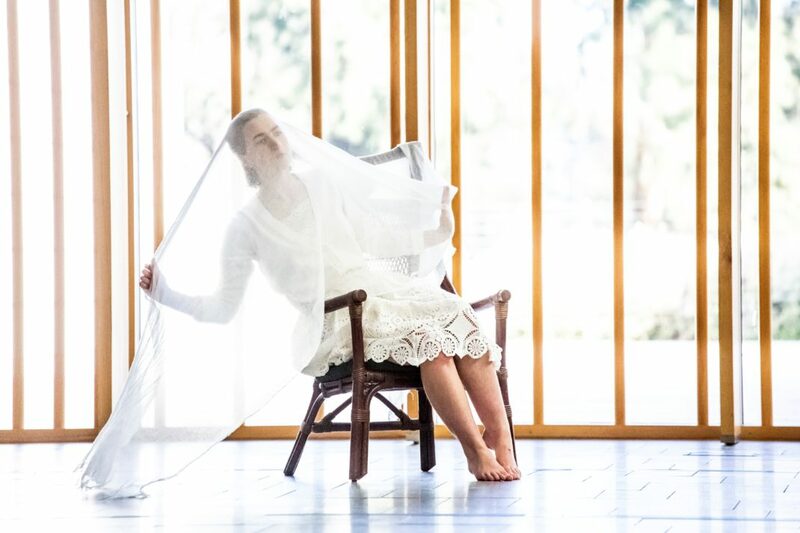 It is quite large when unfolded and the edges of the cloth extend over the frame so that there are gorgeous moments of tiny movement when the fan is moved. The chair Kramer sits has an antique look to it and is placed on a length of grey fabric that cascades along the floor. The colour scheme throughout is white and various shades of grey. Eileen is a portrait of a dancer. Eileen joined the Bodenwieser Ballet—Australia’s first modern dance company—in 1939 and then spent many years living in India, Europe and America before returning to Sydney in 2014. She was living at Thurles Castle, ‘a home for the potentially homeless’, in Chippendale, Sydney, when I first met her, and we have collaborated on many projects since then. At 103 years of age, Eileen Kramer continues to create: she performs, designs costumes, draws and writes on a daily basis. A painted portrait of Eileen, by surgeon Dr Andrew Greensmith, was a finalist in the 2017 Archibald prize: she thinks it is a lovely portrait but notes that it does not move. This portrait does. So worth a visit to the Portrait Gallery! Listen at this link to Eileen speaking for the National Library’s oral history program. 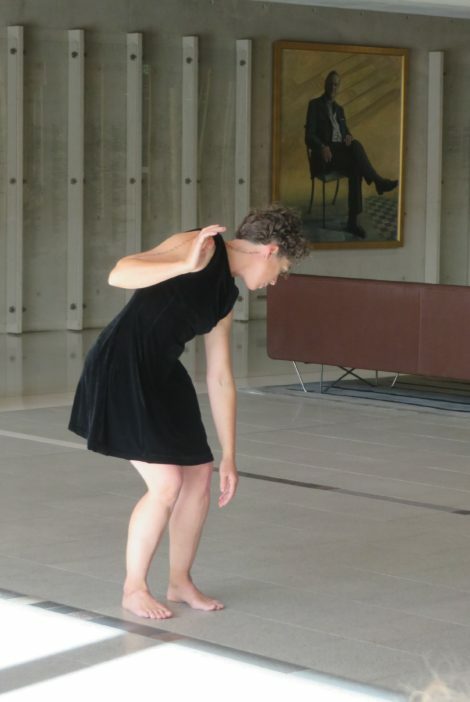 Canberra’s National Portrait Gallery has done it again—commissioned a short, totally captivating dance piece in conjunction with one of its current exhibitions. 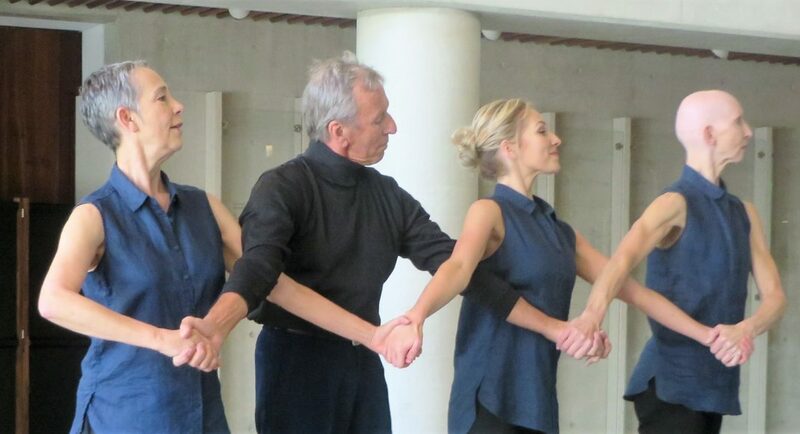 This time the company involved was the Australian Dance Party, led by Alison Plevey. 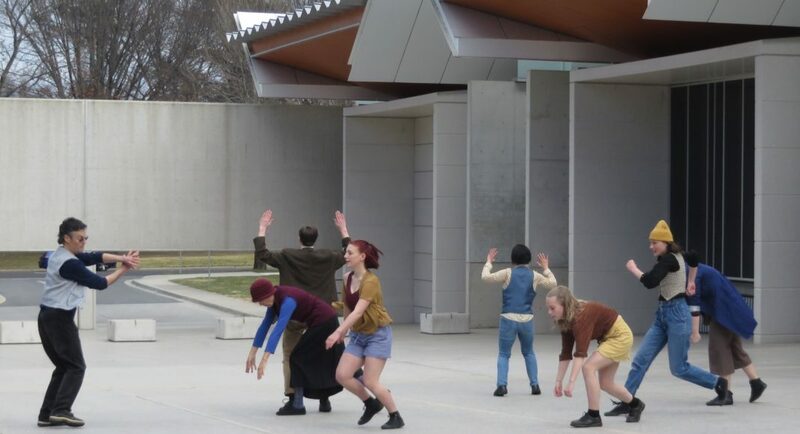 She gathered together a great mix of young (and not so young) dancers to present an outdoor work on the gently sloping walkway leading to the gallery entrance. 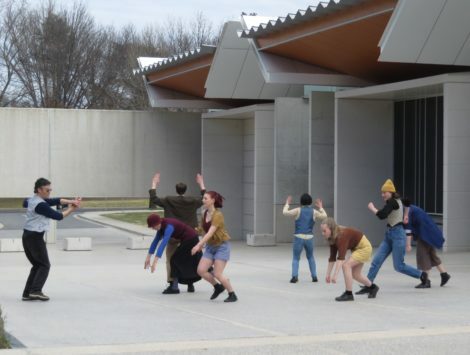 The dancers were accompanied by two musicians guesting from the Canberra Symphony Orchestra, Tim Wickham and Alex Voorhoeve, who at times sheltered in an alcove on the side of the building but who, at others, strolled around the dancers and were incorporated into the choreography. 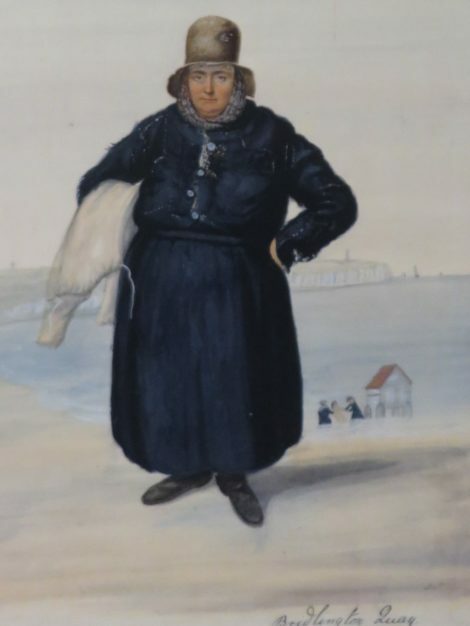 The inspiration behind weave, hustle and halt was Dempsey’s People: A folio of British street portraits 1824–1844, a show of miniature portraits in watercolour by British artist John Dempsey of those who plied their wares, or who engaged in other activities, in the streets of London and elsewhere in Britain in the nineteenth century. Plevey has not tried to replicate the portraits in any way but has set out, successfully indeed, to give the audience a feel for the way people might interact with others on the streets today, or at any time really. Yes, there was weaving of bodies, a bit of hustling and some halting as people stopped to observe others. 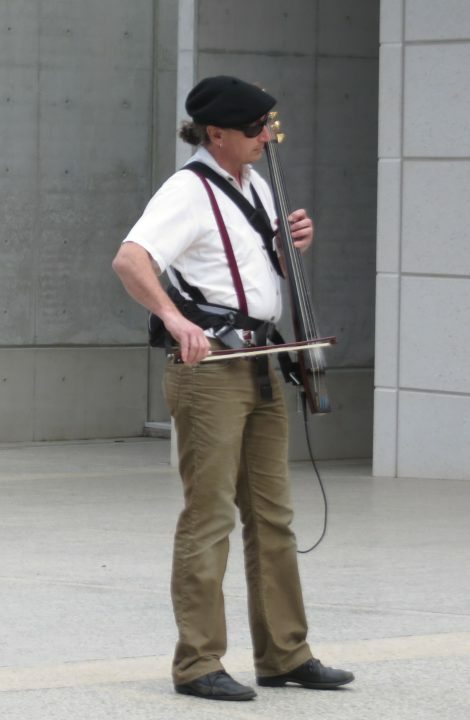 The sound score was an exciting accompaniment with the major part being played on an electric violin and an electric cello. But along with this part of the score there were various street sounds—including the sound of cars in the street and the noise of car horns. In addition the score began with the sound of Big Ben chiming, a beautifully evocative sound and a link back to the original portraits. Plevey goes from strength to strength with her innovative ideas and her commitment to using Canberra as a backdrop for her work. Her performers did her proud and we can only continue to thank the National Portrait Gallery for coming to the party and bringing us such an enticing presentation. Alison Plevey’s Australian Dance Party has a commission from the National Portrait Gallery in Canberra to create a work in conjunction with the Portrait Gallery’s exhibition of British street portraits from the early 19th century, drawn by John Dempsey. The portraits are beautiful miniatures of working class people in a variety of situations. 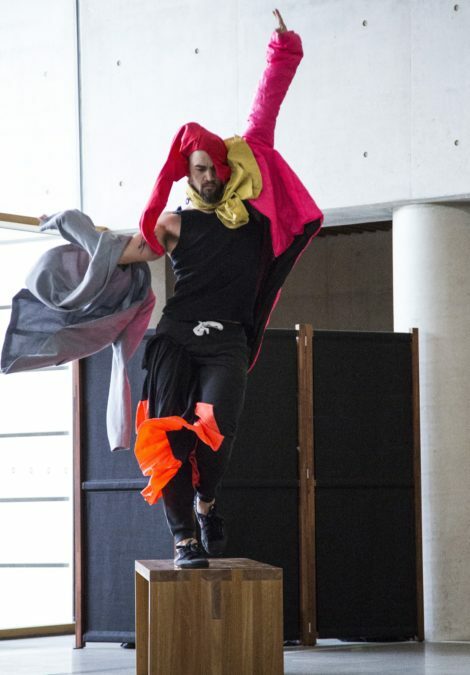 Plevey’s work, called weave, hustle and halt, is on show at the National Portrait Gallery on Saturdays 2 & 9 September at various times and will reflect the activity, characters and rhythms of the modern-day streetscape. 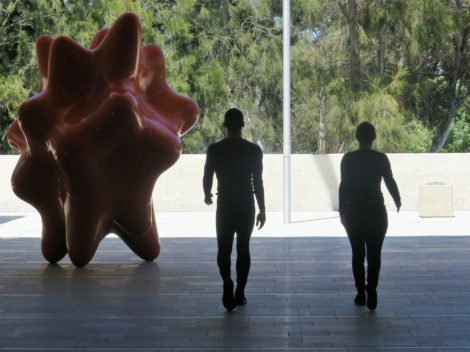 The short work will have a sound score and ‘live busking’ by two musicians from the Canberra Symphony Orchestra, Tim Wickham and Alex Voorhoeve. I look forward to seeing how Plevey can capture the inherent, down-to-earth beauty of these portraits. 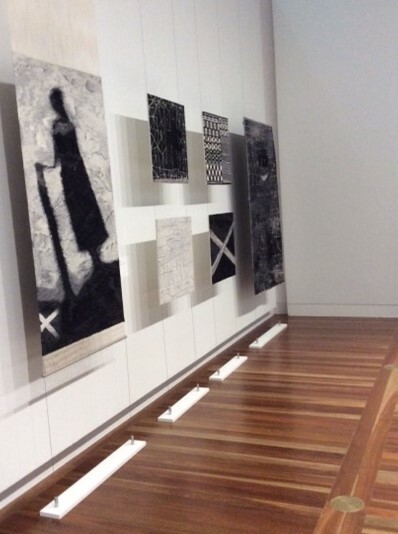 Most of the interviews I have conducted recently for the National Library of Australia’s oral history program have been with people working in various areas of the visual arts. This month, however, I had the pleasure of recording interviews with Mary Li from Queensland Ballet, and of course an outstanding dancer and coach in many situations prior to Queensland Ballet, and with Shaun Parker, director of Shaun Parker & Company. Records should appear shortly on the NLA catalogue. ‘A leap of faith.’ Preview story for Blue Love, Shaun Parker & Company. The Canberra Times, 5 August 2017, p. 11. Online version. See also this link. ‘Torment laid bare in gripping work.’ Review of Bennelong, Bangarra Dance Theatre. The Canberra Times, 7 August 2017, p. 18. Online version. 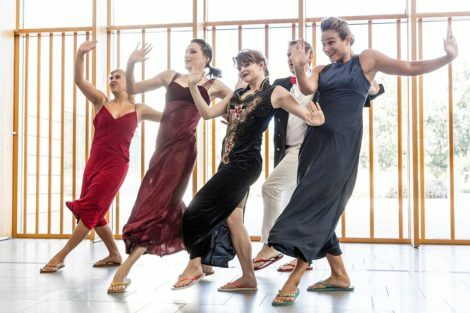 Canberra’s first BOLD Festival, a varied program of dance events over the period 8–12 March 2017, offered a wide-ranging series of activities. Those activities included performances in a variety of styles, as well as talks and discussions on a variety of topics. 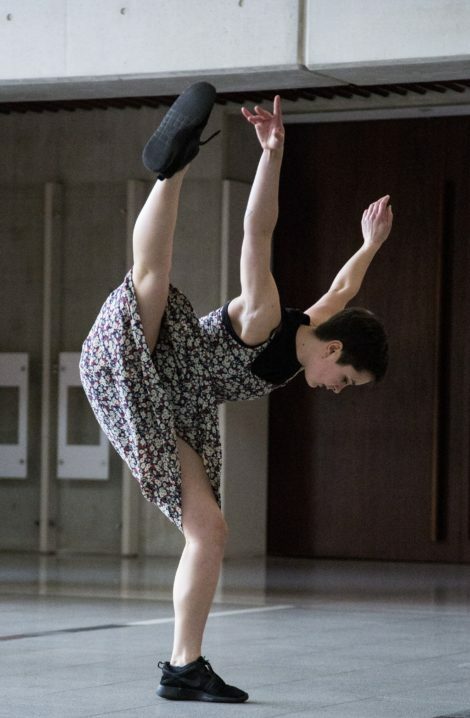 Dancers showed a range of skill sets and artists came from across the country. The Festival culminated with a performance, To boldly go…, featuring, again, a wide variety of artists. 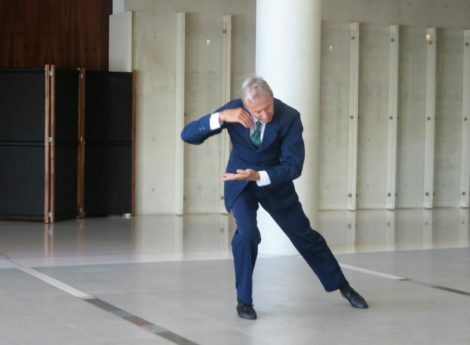 For me, however, the surprise highlight was a selection of dances performed at the National Portrait Gallery on 10 March. 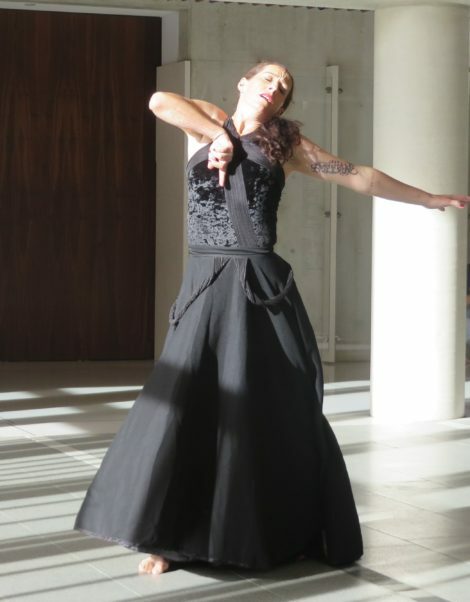 I guess I am constantly fascinated by what dance looks like in the space of Gordon Darling Hall, which is really the entrance lobby for the Portrait Gallery. I love watching how choreographers make their work fit into this space. The performances began in the afternoon and, as has been the custom at the National Portrait Gallery, there were three short sessions of a program that consisted of two works. 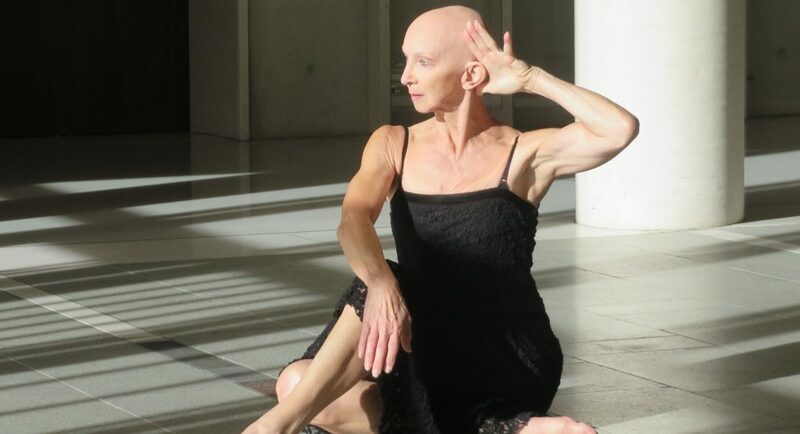 Each short session began with Kym King’s Time, danced by Judy Leech and Rosemary Simons, and concluded with a solo by Katrina Rank, My Body is an Etching 2. Neither was choreographically complex but both had emphasis on small details, which were a pleasure to watch in the intimate space available. 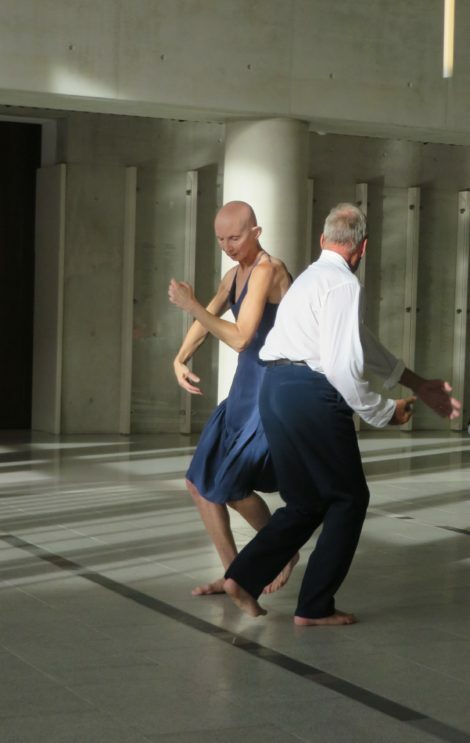 I especially enjoyed Rank’s solo, which concerned the notion that a dancer’s body is marked by the individual movements that, across time, have affected that body in some way. As Rank remarked in her program notes, those marks consist of ‘intersecting grooves, gouges, grazes and feather like marks’. To add a visible emphasis to her thoughts, Rank had added a subtle yet clear representation of those etched marks onto parts of her body—down her legs, along her arms and extending up the side of her neck. An early evening session was a set of five works. 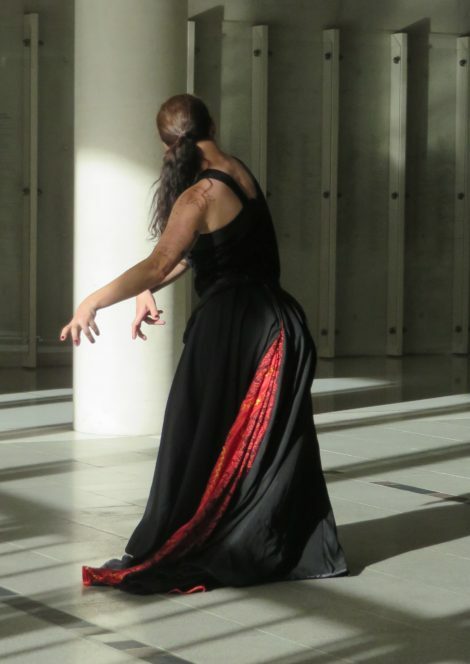 Tammi Gissell reprised a section from Magnificus, magnificus, a work concerning the red-tailed black cockatoo and choreographed by Gissell herself with directorial input from Liz Lea. 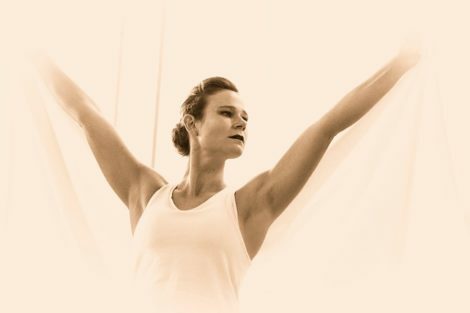 Gissell is a strong dancer and her performances are always remarkably emotion-filled. The background to Magnificus, magnifcus, which was made in 2013, is discussed at this link. In an earlier session at the National Film and Sound Archive that morning, Gissell had talked about the fact that she had been advised by her grandmother not to mess with the black cockatoo and, as she turned her back on the audience, not only did the strip of red in her costume remind us of the black cockatoo’s flaming red tail, but her tensed hands reminded us of the warning. Then, as she stalked off I thought what a wonderful Carabosse she would make! The Magnificus, magnificus extract was preceded by Plastic Time, a work choreographed by Peng Hsiao-yin, artistic director of the Taiwanese dance company Danceology, and danced by Peng and three of her performers. It was amusing to watch the dancers producing, time and time again, plastic bags and other such items from surprising places—and sometimes using them in surprising ways. One dancer looked as though he was using a long strip of plastic as dental floss, for example. But at the same time, Plastic Time made a pertinent political statement about the pollution of our environment. Then followed three short pieces from Anca Frankenhaeuser and Patrick Harding-Irmer. I especially enjoyed Viola Duet in which Frankenhaeuser and Harding-Irmer danced together and yet stayed apart. Their connection with each other, achieved through eye contact, glances towards each other, and changing facial expressions, was remarkable and exceptionally moving. The National Portrait Gallery showing was a personal favourite. I am sure others would have their own favourites from BOLD, which was the brainchild of independent artist, Liz Lea. I am amazed at what was accomplished over those five days, given that NO external funding was forthcoming for the Festival. 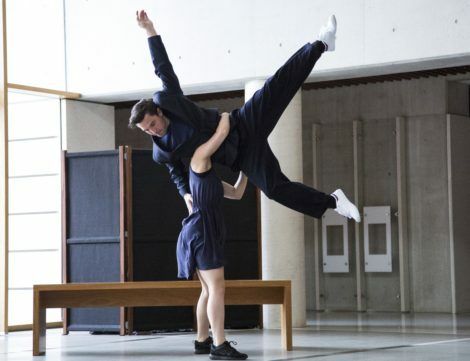 James Batchelor never ceases to surprise with his new choreographies. 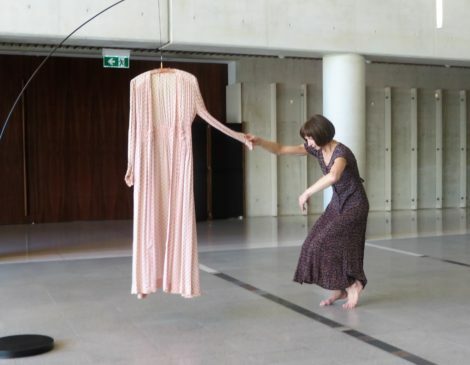 Smooth translation, commissioned by the National Portrait Gallery and performed by Batchelor and visual artist and designer Madeline Beckett, was no exception. And, as is usual, it was only later that the thought behind the work became clear to me—or, perhaps better stated, that I was able to make a personal interpretation of the work. 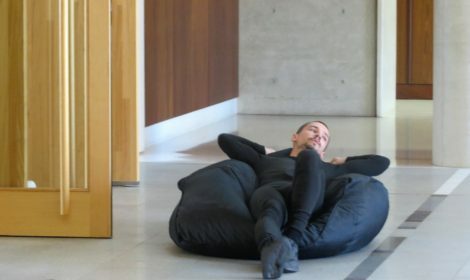 Smooth translation began with a pile of bean bag-like items piled in a heap in a corner of Gordon Darling Hall at Canberra’s National Portrait Gallery. Slowly, from underneath the pile, human hands began to emerge, then legs and finally two bodies. 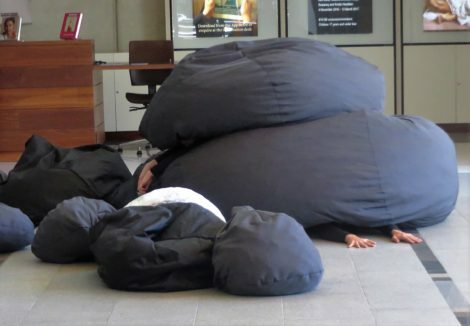 The bodies (now clearly Batchelor and Beckett) proceeded to manipulate the bean bags in various ways. 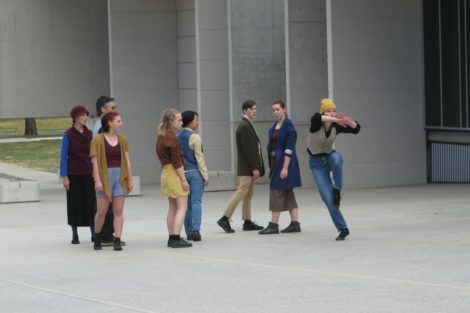 There was one moment, too, when the two performers left the bean bags and strode purposefully out of the performing space via the exit doors and onto the paved entrance area. They kept going, to the surprise of the audience, who wondered whether the show was in fact over. Well it wasn’t, and on reaching the end of the entrance plaza they turned around and, just as purposefully, marched back into Gordon Darling Hall. Later they carefully emptied pebbles out of small bags onto a long sheet of clear plastic. And so it went on with a series of mysterious but absorbing actions. So what was Smooth translation about? In his notes, Batchelor acknowledges the British sculptor Barbara Hepworth as inspiration and remarks that the work ‘examines carving as an entry point to the interiority of matter. It is a choreography of sculpting, building and forming a landscape, a moment of translation from one body to another.’ As has so often happened for me when I encounter Batchelor’s work, I wondered what the words meant and how the actions related to those words. But after a while thoughts came crowding in. I loved the idea that a a work of art, and the ideas for such a work, were emerging in the opening scene. 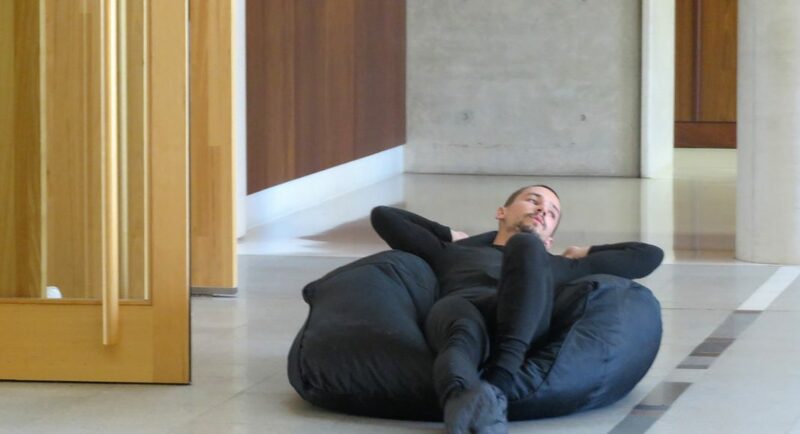 I loved the thoughtful traversing of the room by the two performers, while lying back in the bean bags as if pondering how to develop the work. 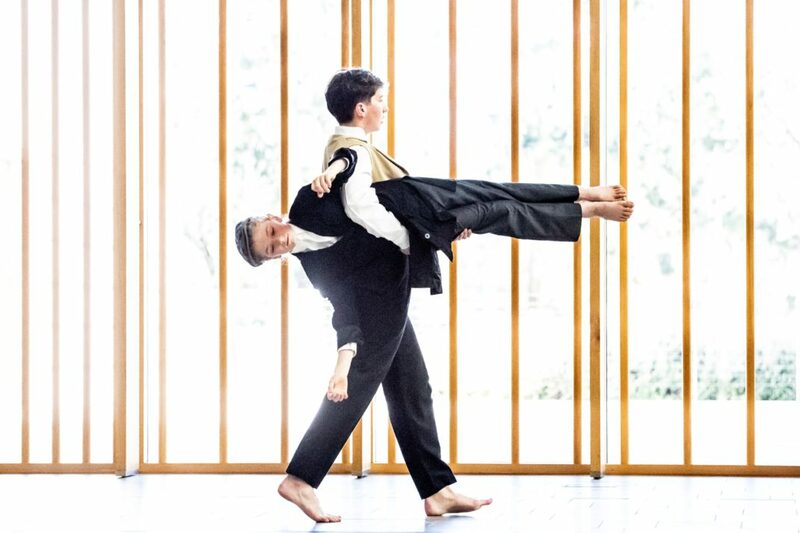 I loved those moments when Batchelor and Beckett seemed to be measuring the space and objects in Gordon Darling Hall as if deciding on how large the work in progress should be. I loved the exit from the performing space as if they had decided it was all too hard, only to return to complete it. And so on. 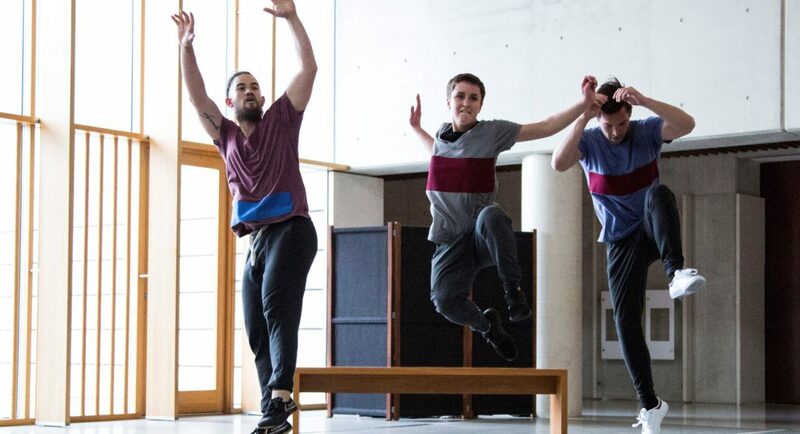 There is not doubt that Batchelor has a deeply intellectual approach to choreography. And such an approach may not be to everyone’s liking especially when it isn’t immediately apparent what is going on! But personally I love being able to ponder and Batchelor always gives me the opportunity to do so. 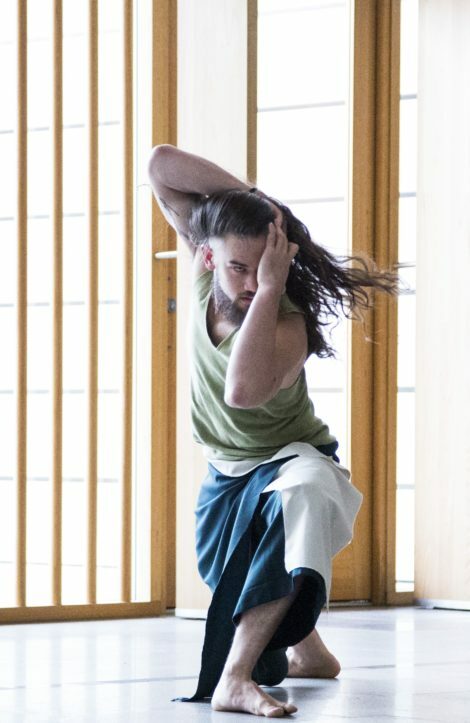 His work allows the construction of a narrative around the choreography, whether or not such as narrative was the intention of the choreographer or not. 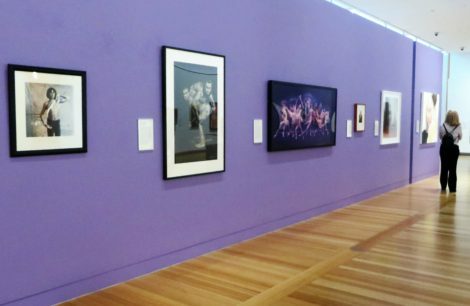 The National Portrait Gallery is currently showing a number of images from its performing arts collection—mainly images of dancers but also musicians and designers. 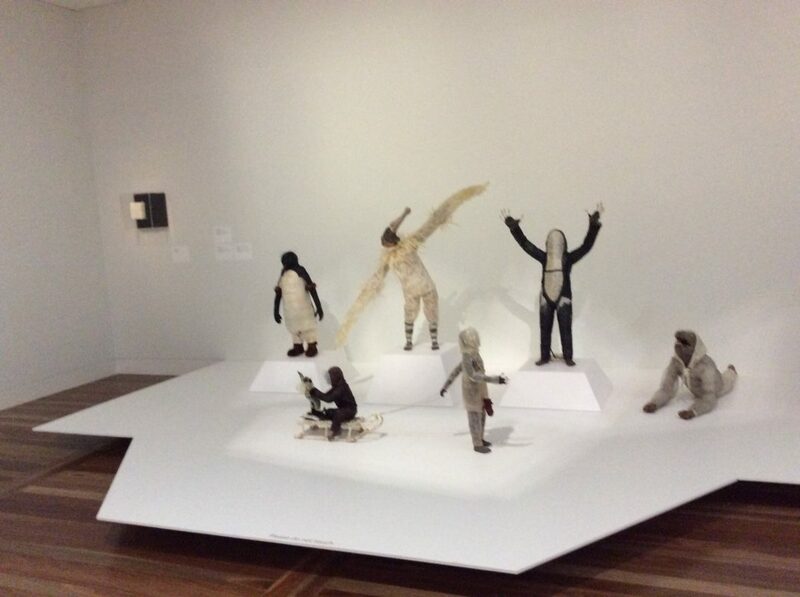 Along with Jenny Sages’ wonderful image of Irina Baronova ‘passing on the torch’ to an unknown (seen from the back only) young dancer, there are images of Steven Heathcote, Graeme Murphy, Meryl Tankard, Russell Page, Stephen Page, Marilyn Rowe (not the Gallery’s best acquisition I have to say), Kenneth Rowell, Sidney Nolan, Peter Sculthorpe, and others. 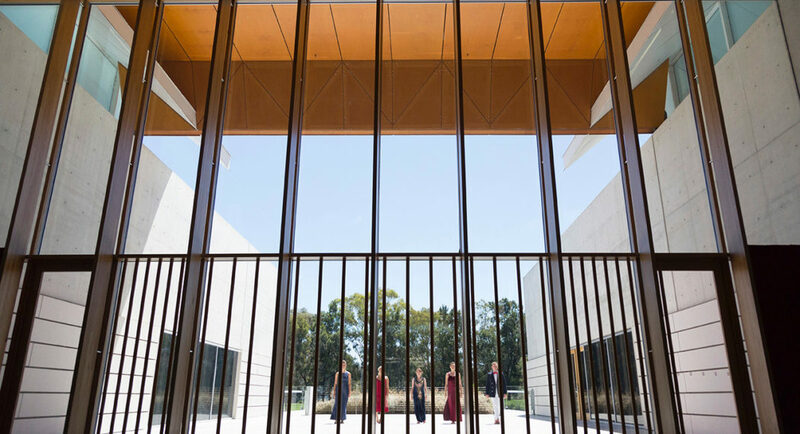 They are there to support a new acquisition, a photographic portrait of artistic director of the Australian Ballet, David McAllister, by Peter Brew-Bevan. 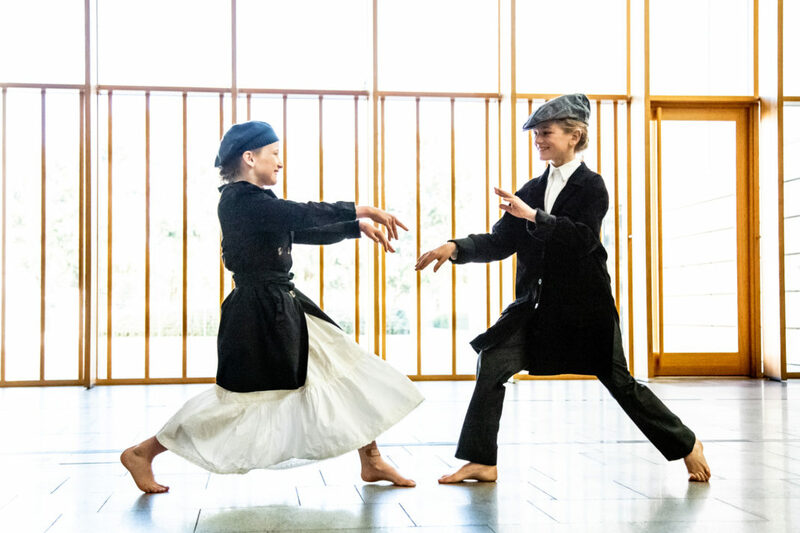 And as has been happening with a certain frequency recently, the National Portrait Gallery commissioned four dancers, Elle Cahill, Julia Cotton, Anca Frankenhaeuser, and Patrick Harding-Irmer, to present a short program of dances to celebrate the acquisition. 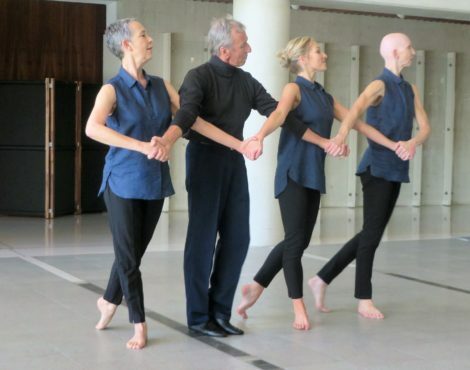 There were four dances in all: Solo from steppingstone by Patrick Harding-Irmer, Duet for David by Julia Cotton and Elle Cahill, Ebba by Anca Frankenhaeuser, and Quartet for David by all four dancers. All dances had a certain technical simplicity to them, which is not to deny their appropriateness for the occasion. Two of the pieces, those featuring Harding-Irmer, seemed to refer specifically to McAllister. The duet from Cotton and Cahill seemed to be more of a dedication to the art that McAllister has promoted throughout his career, while the connection that Frankenhaeuser’s quite beautiful but mysterious solo with a hanging garment had to McAllister wasn’t all that clear to me. 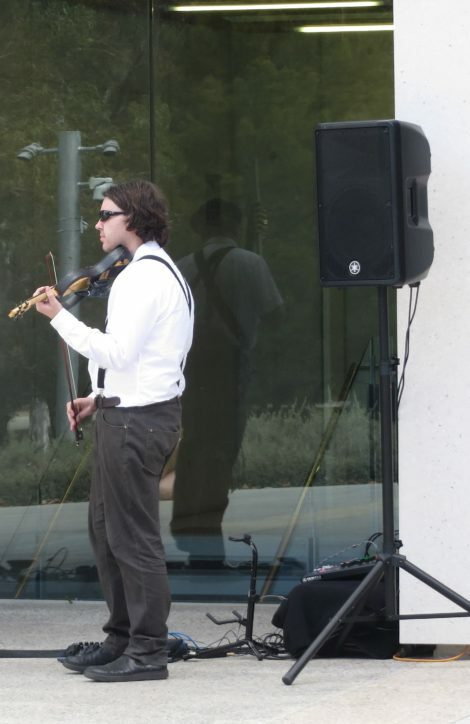 Harding-Irmer’s Solo was a work of poses. Some were quite a simple ballet positions—first position of the feet, fifth positions of the arms. for example. We all start our careers learning the basics. As the piece progressed the poses became more introspective but always searchingly so. And Harding-Irmer, impeccably dressed in suit and tie (although he did remove the coat at one stage), suggested that a dancer’s life moves more and more into a complexity of thought. Duet for David was the most balletic of the dances and in many respects it reminded me of the Jenny Sages portrait of Baronova ‘passing on the baton’. 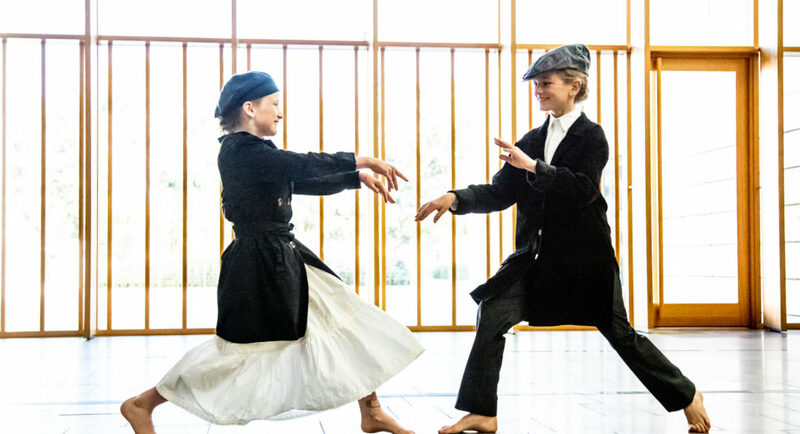 Cahill’s youth in relation to Cotton (and Harding-Irmer and Frankenhaeuser) was clear and, as Cahill and Cotton danced together, they seemed to change places in the performing space. There was a lovely entrance by Cahill followed by a quiet arrival from Cotton, who then seemed to take the dominant position. 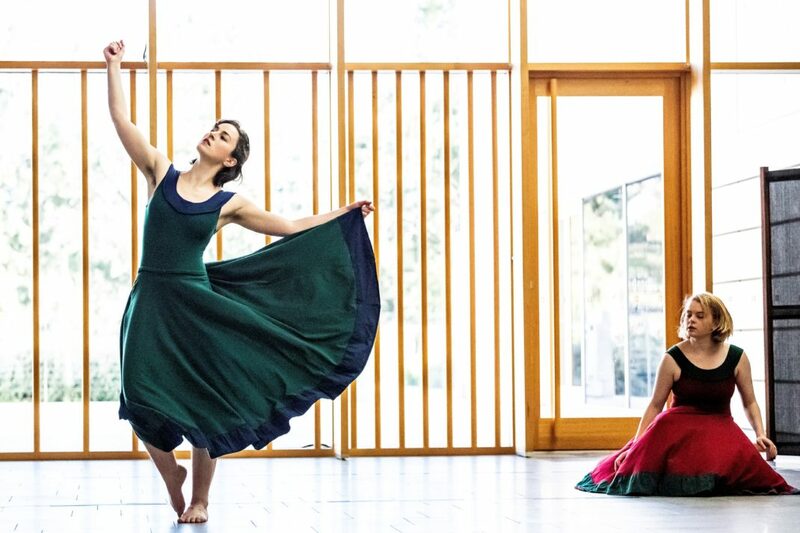 But as they circled each other, dancing simple but fluid and attractive steps in differing spatial patterns, Cahill came to the fore, as if representing the future of classical dance. 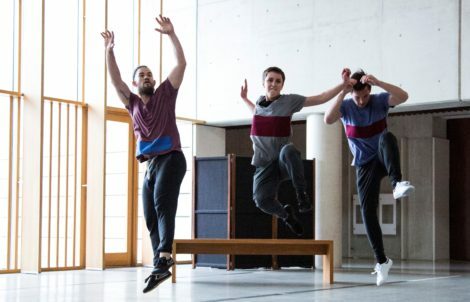 But if Duet for David was the most balletic in a technical sense, the closing piece, Quartet for David, was filled poses (again) that recalled the manner of McAllister in the classroom or rehearsal process, along with references to ballets with which McAllister might be identified. From Swan Lake, for example, we had a reference to the linked arms of the Four Little Swans and from The Sleeping Beauty there was a nod to the Rose Adagio. And the final moment saw Harding-Irmer taking the very pose McAllister takes in the Brew-Bevan portrait. What was especially attractive about this show was the element of time that it encompassed—time past, time present, and time future all seemed to have a place. But I wish I knew more about Frankenhaeuser’s Ebba. For the first time in my experience with these Portrait Gallery shows there was a mini printed program, which listed the names of the works and the creatives behind them—a welcome initiative. I am dead against judging a work according to the artist’s intention, but I would have liked a bit more information. A search online didn’t help all that much. 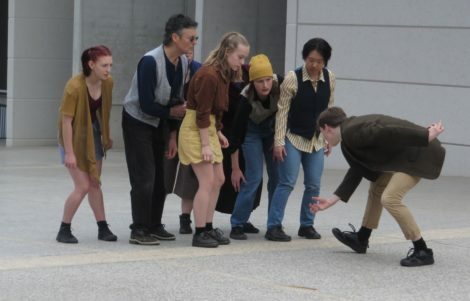 Dance in Canberra is flourishing as a result of this kind of show. And it is refreshingly ‘underground’ in the sense that it doesn’t rely on the fads and puffery of popular mainstream organisations. Good, honest dance with something to say. 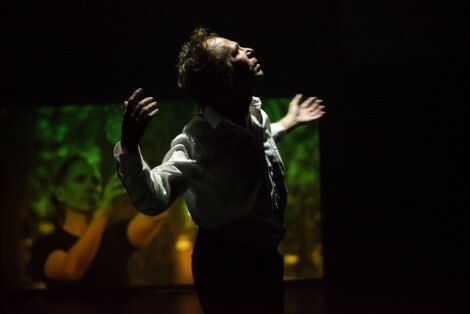 Featured image: (l-r) Julia Cotton, Patrick Harding-Irmer, Elle Cahill and Anca Frankenhaeuser in Quartet for David, 2016. The printed program for Sue Healey’s latest work, On View. Live Portraits, contains a short essay by Christopher Chapman, senior curator at the National Portrait Gallery in Canberra. Writing of screen-based digital portraits, or video portraits, he says: like any portrait, the genre should succeed when it communicates a compelling sense of person-hood, or identity, or individual being. This is exactly what Healey’s work does, even though it is so much more than an exercise in digital or video portraiture. It communicates a strong sense that we are watching the very separate identities of five extraordinary individuals—Martin del Amo, Shona Erskine, Benjamin Hancock, Raghav Handa and Nalina Wait. On entering the darkened Bay 20 of Carriageworks, the venue for On View, it took several seconds for our eyes to adjust. But when they did we were confronted by those five individuals scattered, seemingly randomly, in one half of the cavernous space. The performers were all moving, if sometimes just slightly, and were involved in some way with a moving image as background or projection. But in essence they represented an image that, although clearly live, we could interpret as a portrait in a relatively traditional sense. The movements were interesting enough, but it was only later that their significance emerged. In this opening segment, Shona Erskine, for example, sat quietly in a corner twitching slightly on occasions and adjusting a red item of clothing that partly covered the upper section of her body. A fox fur, complete with head, tail, and feet, was spread on the floor beside her and, with the moody lighting in which she was shrouded, the image had the quality of a Baroque portrait. Later, Erskine danced a solo with the fox fur, wrapping it around her, wearing its head on her head, and otherwise utilising it as an addition to her solo. That initial portrait had come to life and the slight twitches we noticed earlier had turned into more obvious fox-like movements. After a few minutes spent absorbing this introduction, we were ushered to the other end of the bay and invited to sit down. Five screens confronted us now and each had three digital portraits of the five dancers, with one screen for each performer. Slowly the portraits began to move and it was quite a remarkable experience to watch how costume affected the dancerly image. Raghav Handa, for example, wore three different costumes in his three portraits—white, loose, Indian-style trousers (no top) in one, a casually elegant shirt and trousers in another, and a suit in the last. He executed the same, quite simple bending movement in each of his three on screen portraits, but it looked quite different in each case. I found myself unable to do anything but favour the movement when Handa was wearing his Indian outfit. It was his dance costume, which I knew, and the power of that knowledge coloured my perception. As the piece progressed the dancers appeared live, dancing around the screens as well as appearing on them. The interaction between film footage and live performance grew stronger. 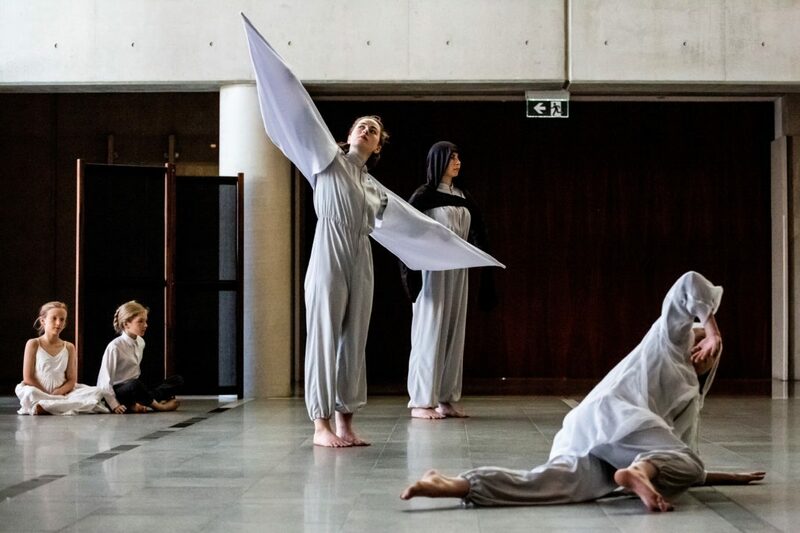 Particularly affecting were a series of solos where the dancers seemed to take on the attributes of a creature from the natural world. Handa was seen on screen handling a horse as if breaking it in, while at the same time he performed live with the fluid quality that marks his dancing, and with something of the freedom and wild abandon of the horse. An extraordinary performance by Benjamin Hancock was the highlight of this section. His acrobatic style of movement, punctured by a vocabulary that often looked quite balletic, along with the film footage on the screens of a praying mantis, was mesmerising. Later, Martin del Amo was seen in a cemetery moving solemnly. A stone bird perched on one of the headstones seemed to loom over him. There were segments when the dancers performed together, or when they came forward and stared at the audience. The gaze of Nalina Wait was especially powerful and, in one filmed section, her expressions told an entire story. Her dancing was incredibly lyrical and an absolute joy to watch, especially her solo where she appropriated the fluidity of a fish, which we saw on screen as Wait performed on stage. And there were some exceptional moments when she danced with Handa and del Amo, who adjusted her long hair and circular skirt, manipulating the image we received. On View. Live Portraits had so many layers of meaning at every turn. It was absolutely exhilarating to watch and is a major work that deserves wide exposure. While Healey as choreographer and film maker, and her director of photography, Judd Overton, have worked strongly together before, with On View they have taken their collaboration to new heights. The links between live performance and the high quality moving image material, rather than being frustrating as they sometimes are when dance and film aim to coexist, were absolutely fluid and illuminating of each other. The show was enhanced by lighting from Karen Norris and an original sound score from Darrin Verhagen and Justin Ashworth. Definitely a five star experience, which can be savoured post show by some wonderful photographic images by Gregory Lorenzutti.